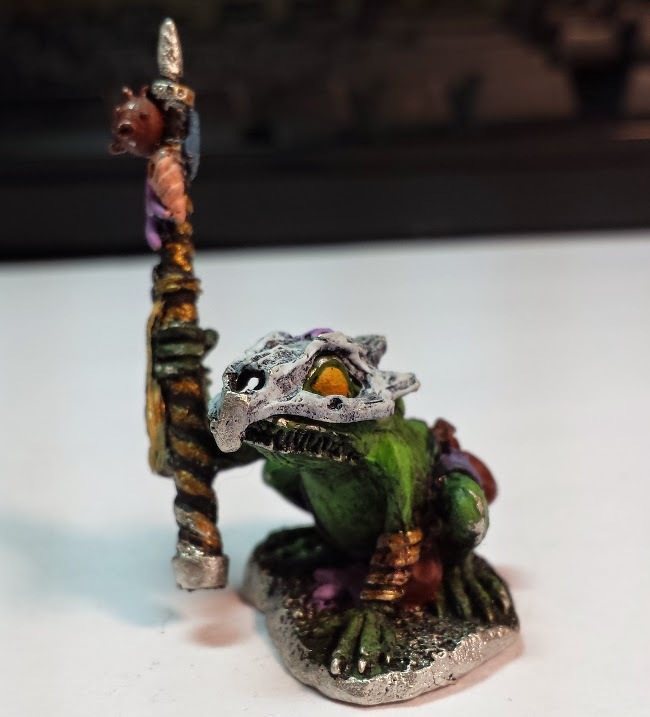 Home / D&D / minis / Elijah's Frog Priest, or Wizard Maybe? A Frog Priest, Wizard, or something. It was intended as a villain for Elijah's Anthropomorphic Campaign but I don't think we ever fought it.